*This list is for private use with distribution of entire list strictly prohibited. What is being said about author Bob Wirz and "The Passion of Baseball"
"Wirz's life story oozes Americana," said The Grand Island (NE) Independent. "Enjoy the ride in the company of a man you will come to know as a friend," said Fred Claire, former Los Angeles Dodgers VP-GM. "It was very eloquently written," praised Marie Heikkinen Webb, a onetime baseball executive.. "The last chapter (which paid tribute to former commissioner Bowie Kuhn and the author's mother) made me cry". "One of the many joys in reading this autobiography is knowing it came from Bob's front row view of nearly six decades in the game", said Scott Reifert, Sr. VP, Communications, Chicago White Sox. "I don't know if it was the rhythm and pace of baseball because I love all sports, but it (baseball) has always been my favorite," quoted the Custer County Chief of Broken Bow, NE. 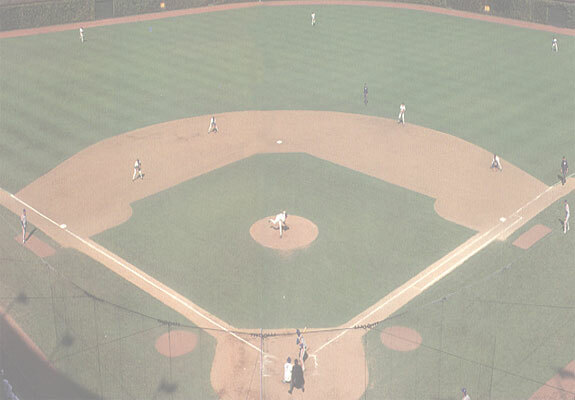 "A must-read for baseball fans," said Tal Smith, former President and GM, Houston Astros. "Some of our library customers said they could have listened to you share stories for hours," said Joan Birnie, director of the Broken Bow, NE library. "I consider both the writing opportunities at The Nebraskan (University of Nebraska student newspaper) and the radio broadcast work I did at the University as being all geared to getting some experience and figure out where I fit into the baseball world," Wirz told The Wood Pile, a publication of the Smoky Joe Wood SABR Chapter in Connecticut. "I knew I couldn't hit the curveball." "This book is a look at the journey and experiences of a special man who has devoted his professional life to covering, promoting, advising and helping others," said Tim Mead, VP, Communications, Los Angeles Angels. "A tremendous success story." It is said only about six per cent of the United States population gets to spend a lifetime working in a profession the person dreamed of since childhood. Bob Wirz believes he is part of a much smaller group who has lived a long life rubbing shoulders with the biggest names in baseball without ever swinging a bat or throwing a ball beyond the most scruffy of diamonds. "The Passion of Baseball", Wirz's book tells the headline-making, celebrity-filled story of living out the dream of a tiny town lad who grew up in the Sandhills of Nebraska and went on to head up Major League Baseball's media fishbowl for more than a decade in New York City. As a friend once put it, this is a "dream journey from the cornfields of the Midwest to the skyscrapers of the country's largest city." Wirz uses 350 pages to share insights on the first six years of the Kansas City Royals (he was Publicity Director) to White House trips, sitting with manager Bob Lemon on the New York Yankees' victory flight after the history-making Bucky Dent playoff home run of 1978 and surviving the early years of the sport's anger-filled free agency. Readers relive the author's experiences in "Passion" during the 1989 San Francisco-Oakland earthquake-interrupted World Series, rubbing shoulders with actor Jack Nicholson during an All-Star Game, the joy of induction weekends at the Hall of Fame in Cooperstown, NY and his last four-hour visit with former commissioner Bowie Kuhn, who had gone from being his boss to his friend and business partner. Wirz also takes readers through about three decades of the ups and downs of running his own sports public relations company, which included handling publicity for the coveted Rolaids Relief Man program, ground-breaking anniversary planning for Little League Baseball and helping IBM become the first company to put reality into home run distances. Along the way, he fell in love with--and wrote-- the touching stories of undrafted players who worked their way from the smallest of Independent baseball leagues to major league baseball fame and financial security. Contact: For interviews, book-signings and more contact the author (BWirz2@gmail.com, 203 380-9931 or 203 858-4890). 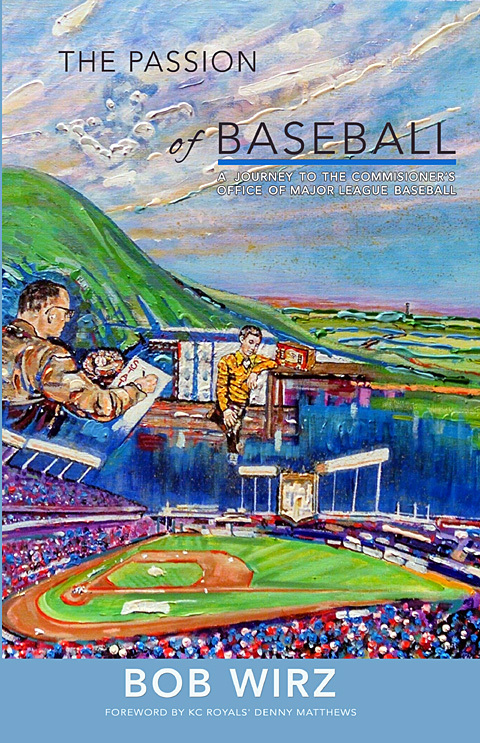 "The Passion of Baseball" is available through www.WirzandAssociates.com.